The latest marketing analysis from Manheim Remarketing reveals that average used car wholesale prices fell by 1.1% in April 2011. The fall comes after three consecutive months of increases. The biggest decreases were in the fleet sector, which saw an average decrease in value of 3.0%, and in dealer part exchanges, which decreased by an average of 5.7%. Compared to April 2010, 2011 used cars were on average 3 months older (53 months old on average), with around 3,000 more miles on the clock (53,853 miles on average). However some values increased. Average used supermini values rose 8.5% and average used MPV values rose by 7.2%, thanks to a reduction in average age. 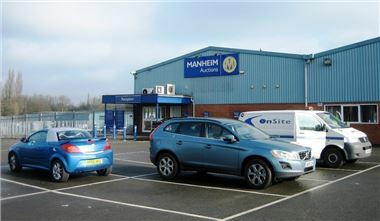 Mike Pilkington, Managing Director, Manheim Remarketing said: “As predicted, values did come under pressure in April because of an increase in supply and a softening of retail demand. Increased supply came from the influx of March part exchanges and increased levels of end-of-contract and extended contract fleet and lease vehicles. “ ...Retail demand did ease through the course of April, especially towards the end of the month during the extended holiday period.” He added.